When Is Adobe Lightroom 5 Coming Out? Last week Adobe Lightroom 4 celebrated its first birthday – yes, it was released one year ago this month – and so this is usually around the time when people start asking: when will Photoshop Lightroom 5 be released, and what new features will be included in it? But there’s more to the story. Every previous release of Lightroom has had at least one public beta period – and even all the dot-releases have had betas as well – so a beta release would generally be expected for Lightroom 5 too. These beta periods have lasted 2-3 months each. Adobe has not yet announced a Lightroom 5 beta, so it’s reasonable to assume that we should be seeing one on Adobe Labs well before the official release of the product. In other words, don’t expect (the final) Lightroom 5 for at least several months from now – or from the time the beta comes out. There’s also the connection with Photoshop and the Creative Suite… Lightroom is so closely related to Adobe Camera Raw (they use the same processing engine and share the same file caches) that arguably they all would have to be released on about the same timeline. Indeed, whenever Adobe updates Camera Raw for Photoshop, they also update it for Lightroom as well. In fact, every major release of Lightroom over its history has been within two months of a major release of Creative Suite as well (CS3, CS4, CS5, CS6). So with the next version of Creative Suite forecast to arrive in the spring of 2013, Lightroom 5 is unlikely to be far from that window, especially since these two products are often bundled together with a discount. So, what does it all add up to? 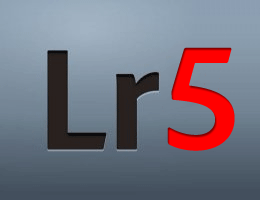 Putting together the anecdotal evidence and dates from the different analyses above, with luck we expect to see the release date for general availability of Adobe Lightroom 5.0 coming in the middle of the year, with the LR5 beta arriving a couple of months prior to that. And hopefully, upgrades from all previous LR versions will remain at $99 or less. What New Features Will Be in Lightroom 5? The next question is what will be new and better in Lightroom 5? Well, some customers have found Lightroom 4 to be slower than version 3, and firstly hope that LR5 will restore improved speed and performance. After that, there’s a long wishlist that users have submitted… Click on any link below for more information about each new feature – and importantly, VOTE on the ones that you would like to see! What’s New in Lightroom 4 vs. Lightroom 3 vs. Lightroom 2? When is Adobe CS7 coming out, and what’s new? The way keywords containing characters carrying diacritical marks is unsatisfactory in that upper and lower-case letters carrying diacriticals are not considered to be identical and are not considered to be equivalent to the same character without the diacritical – ôsaka, Ôsaka, and Osaka, Saône et Saone, for example. To put it succinctly, Adobe hasn’t, I feel, put enough thought into localisation. This, admittedly, only concerns the non English/American world but it does deserve attention. I’ve already asked Adobe to do something about it. Whether they shall or not remains to be seen! Those are nice features, and I would add to them a support for RAW in external editors/plug-ins like HDR Efex Pro. TIFFs are a pain. When Will Adobe Lightroom 5 Be Released & Shipping?